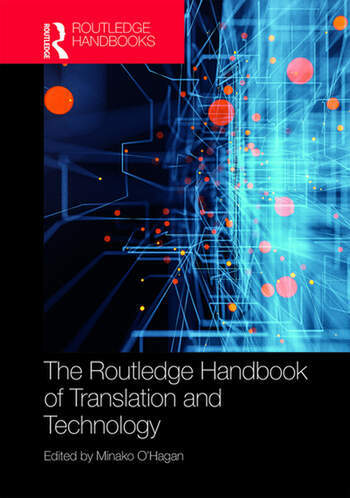 The Routledge Handbook of Translation and Technology provides a comprehensive and accessible overview of the dynamically evolving relationship between translation and technology. Divided into five parts, with an editor's introduction, this volume presents the perspectives of users of translation technologies, and of researchers concerned with issues arising from the increasing interdependency between translation and technology. The chapters in this handbook tackle the advent of technologization at both a technical and a philosophical level, based on industry practice and academic research. Containing over thirty authoritative, cutting-edge chapters, this is an essential reference and resource for those studying and researching translation and technology. The volume will also be valuable for translators, computational linguists and developers of translation tools. Minako O’Hagan, PhD, is the Discipline Convenor for Translation Studies at the School of Cultures, Languages and Linguistics at the University of Auckland in New Zealand. She specializes in applied translation studies with a technology-focus, including game localization and non-professional translation. Her publications include the co-authored Game Localization (John Benjamins Publishing, 2013). Her current research interest lies in exploring the nexus of human and machine in translation.